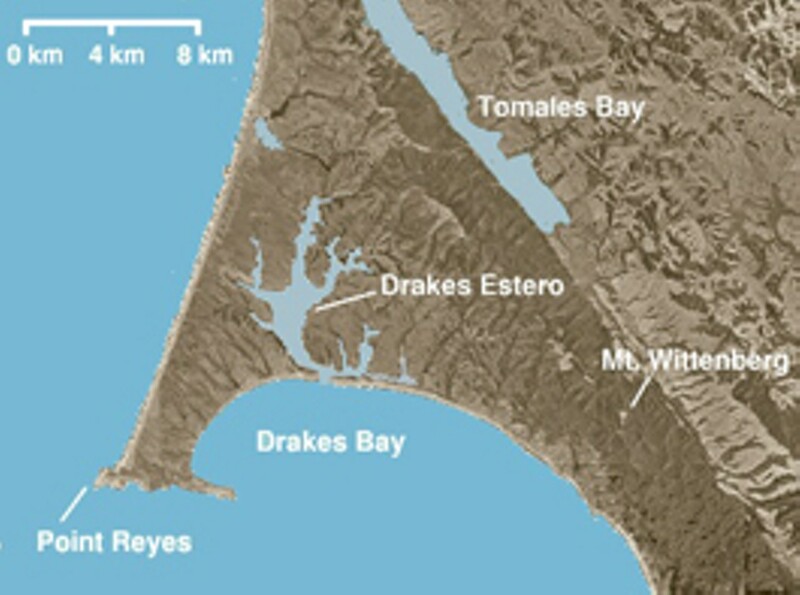 Have park officials deliberately misconstrued scientific data to force Drakes Bay Family Farms out of the Point Reyes National Seashore? This accusation is the center of ongoing investigations into whether the oyster company will have to leave the park when its 40-year lease expires in 2012. As reported earlier in these pages ("Aquaculture Upset," Dec. 5, 2007), Drakes Bay Family Farms has a 1,050-acre oyster company that sits in 8,000 acres of "potential wilderness" as designated in the 1976 Point Reyes Wilderness Act. The lease says that the oyster farm must vacate Drakes Estero in 2012 so that the land can be converted to wilderness. The Lunny family, which owns the oyster farm, claims that officials from the National Park Service (NPS) have undermined and interfered with their business in an attempt to cripple them financially. Last year, the inspector general for the U.S. Department of the Interior launched an investigation into the accusations, interviewing 80 people and reviewing over 1,100 documents and emails. The resulting report is mixed. On one hand, it found "no indication" that the NPS tried to shut down the oyster farm before 2012 or that officials treated the family badly. The farm has also operated in the park for the past few years without proper permits. Furthermore, it found that the park department has no authority to extend the oyster company's lease (although Kevin Lunny claims that the NPS can give the farm a special use permit, just like all the ranches in the park). Although the NPS didn't return phone calls for this article, their supporters see the report as a good sign. "We were pleased by the findings," says Neal Desai of the National Parks Conservation Association. "The Lunnys were claiming that the park services were treating their business with disparity. The report came back and said that absolutely didn't happen." However, the inspector general's report also states that Sarah Allen, Point Reyes' senior science adviser, misrepresented scientific data. In Allen's "Sheltered Wilderness" report about the negative affects the oyster farm has on Drakes Estero, she exaggerated research by Roberto Anima about whether oyster feces causes sediment fill in the bay. Anima never even studied the effect of oyster feces on sedimentation in Drakes Estero; in another report, he noted some observations he'd made and mentioned other studies on the topic. But Allen changed key words so that Anima's theorizing appeared to be fact. Then she referenced a 1955 study on the effects of oyster feces in Japan in a way that made it look like the study was about Drakes Estero. Reading Allen's report, it seems like environmental damage caused by mile-wide oyster rafts that had existed 53 years ago in Japan were being caused by the Lunnys' operation. Allen also deleted an email from Anima telling her that he couldn't "support the statements" she had made and that he "did not directly study the amounts or the areal extent of the deposition of feces in the estero." Investigators noticed a gap in the emails and found the deleted email on her computer. Allen told investigators that there was "no intent here to obfuscate" the facts and indeed, the inspector general report doesn't say Allen misconstrued anything on purpose. After all, the park retracted many of these statements. "The mistakes were already known a while ago," says Desai. "The park already admitted to them and made corrections. [Oyster supporters] were saying the mistakes were deliberate, and the inspector general report says you can't prove that." But people like Corey Goodman, PhD, are skeptical that such errors are accidental. Goodman is a retired neurobiology professor and rancher living in Marshall. He is also a critic of the NPS' data and is a main reason for the investigations. Goodman says he barely knew Kevin Lunny before getting involved in the situation. His concerns are ethical. "What we've got here is a clear case of a government agency with a predetermined agenda using bad science to support it," Goodman says. "Instead of good science determining policy, they have a predetermined policy and are trying to make the science fit that. Well, that's a slippery slope." Because the inspector general's investigation didn't delve into science, the National Academy of Sciences will launch a new investigation this month. It will look into 2007 allegations by Allen and Point Reyes superintendent Donald Neuberger that the oyster farm is so disruptive that it caused an 80 percent reduction in the seal population. When Allen first said this in front of the Marin County Board of Supervisors, everyone was shocked—including Kevin Lunny. Goodman asked to see the data. The NPS refused even after Goodman filed a Freedom of Information Act request, "Something I have never had to do before as a scientist," he says. After an appeal to Sen. Dianne Feinstein, Goodman got the data. When analyzing it, he claims only one sandbar matched the description of an 80 percent drop in seal pups. But it wasn't anywhere near the oyster farm or oyster bags. Rather, it was near hiking trails. "Their own data said the reduction of seals was from hikers, predators like coyotes and low-flying birds, and kayakers," Lunny says. "They had a line there for oyster boats disturbing the seals, and it actually said 'zero' next to it." Stakes are high for both sides. Food advocates worry about the carbon imprint of shipping in the 300,000 pounds of oysters Drakes Bay Family Farm produces annually should it close. And environmentalists worry that if the farm continues to operate past 2012, it will have an impact on wilderness area compacts throughout the U.S.
"That's our biggest dog in the fight," Desa says. "By protecting Drakes Estero, we are protecting all other wild lands from commercial development coming into it. There are concerns that if we can't protect it here in the Bay Area, with such a strong tradition of protecting land, then we can't protect it elsewhere, either."